Coal was once king in Cardiff. Those days are long gone. But there are some who hope that the Welsh capital may yet again be home to an enterprise exporting energy around the world. ‘New and exciting, with a hint of Welsh’ declares the BCB Adventure catalogue of its latest product, Fire Dragon. The company, based in Cardiff’s Tremorfa district, aims to win a global market for its new, eco-friendly camping fuel. The Welsh capital will have to share the honours with Llangennech just beyond Swansea. It is there that BCB produces the solidified bio-ethanol fuel, which is a world first. The trick is to get ethanol, derived from grain and sugar beet (British, of course) trapped in a rigid gel. It can then be used in small camping stoves to cook or brew up, carried in tablet form or in a squeeze bottle. Doing this has broken some technological barriers. The result is an all-weather, non-toxic product that can, in extremis, double as a hand cleanser. You can light the fuel in the rain, in the freezing cold or, if you are really unadventurous, in perfectly normal conditions. You can also keep it with your food. All that, and BCB reckons it works better than other solid fuels on the market. The patent was granted in December 2013. It is just one of a dozen that BCB currently holds which makes roughly one patent for every four BCB employees. No mean achievement for a small family business in a tough market full of big players. In chasing sales for Fire Dragon, BCB is riding two horses engaged in very different races. On the one hand, there are the green campers, the outdoor life style enthusiasts. Those who want a warm cup of tea in the rain somewhere on the slopes of Great Gable with the knowledge the product is made from sustainable resources. In 2014, BCB span off a separate company to target this adventure market. The other horse is the military. BCB’s history is unlikely, starting during the Crimean War, before Cardiff became the Welsh capital. This was when Tremorfa, as Welsh speakers will know, was still a sea marsh rather than a bustling part of the reborn life of the new, post-soot and grime Wales. In 1854, a local chemist came up with a cough medicine and sent some off to those suffering in the trenches before Sevastopol. 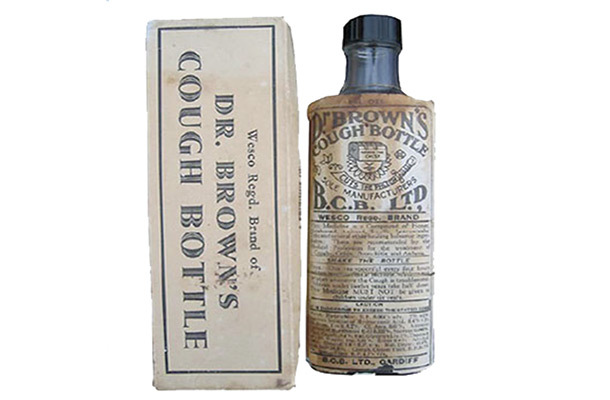 60 years later, Dr Brown’s Cough Bottle gave the initials for a registered company. 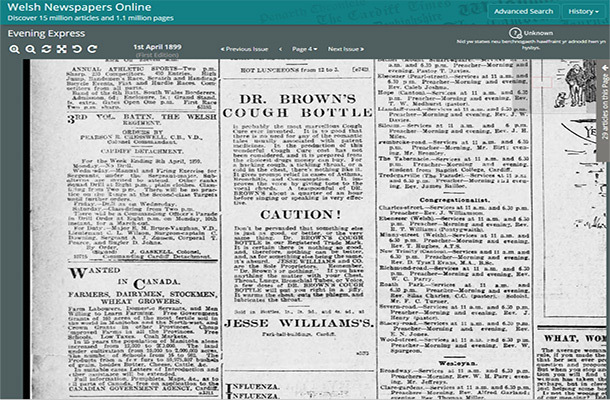 Taken over by local chemist Deryck Howell in 1949, BCB remains a Howell family firm to this day. A lucky chance in the 1950s took BCB into designing and then selling to the Royal Navy the world’s first life raft survival equipment. It kicked off 60 years of CANEI: Continuous and Never Ending Innovation. They have come up with all manner of carrying gear (with a contracted heavy stitching plant in China and patents on aspects such as the method of load distribution), protective wear like the Blastboxers, a kinetic impact system to break down walls using just compressed air and a large water bottle, and now Fire Dragon. Alongside its record of developing new products through its own research and development team, BCB has a solid relationship with patent lawyers for the UK and markets round the world: - not unlike the fierce defence of its original product in those 19th Century small ads! Toxic hexamine-based fuels have dominated the military market for four decades. These have many disadvantages: the toxicity, the smoke, the odour, difficulty of ignition, unreliability and the danger in air transportation. The BCB research and development team spent five years with the Chemistry Department at Cardiff University trying to remove them. This took them to bio-ethanol and the result is Fire Dragon Fuel. The challenge now for the company is to get the resources to expand the production facilities so they can meet the hoped-for demand. The military interest is obvious. With no smoke or smell, those using it can escape detection. It also leaves none of that impossible-to-remove soot grease on your kettle, frying pan or pot. You can stuff your cooking kit back into your Bergen as soon as it cools and disappear off into the undergrowth before a passing enemy patrol sniffs you out. Mind you, if the BCB sales team have done their job properly, they could be using Fire Dragon just on the other side of the bush behind you, without you knowing a thing. When I read the keyword green campers, I can not stop thinking these ecowarriors whether these people need energieausweis or energy certificate for every product they use in their life.